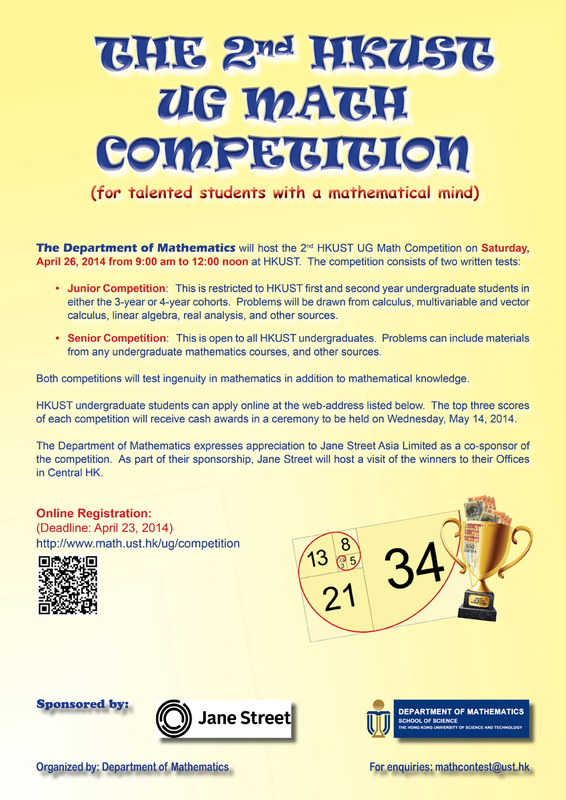 Junior Competition: This is restricted to HKUST first and second year undergraduate students. 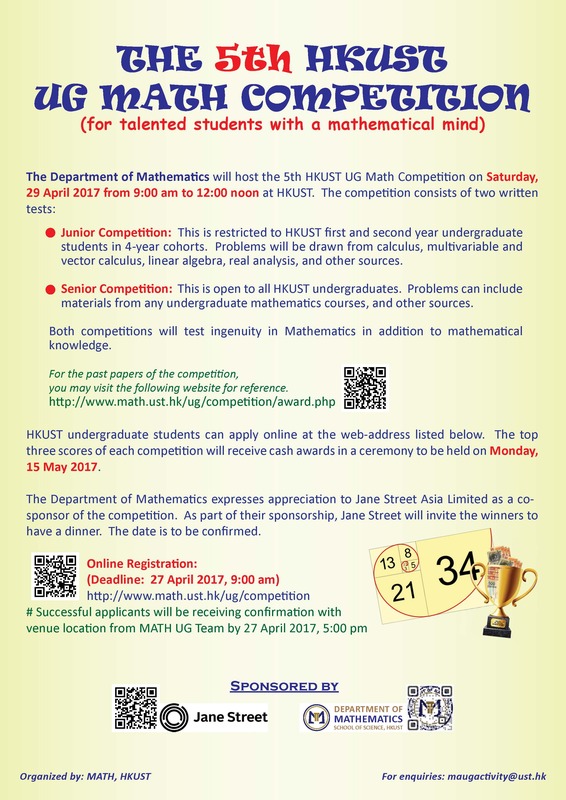 Problems will be drawn from calculus, multivariable and vector calculus, linear algebra, real analysis, and other sources. 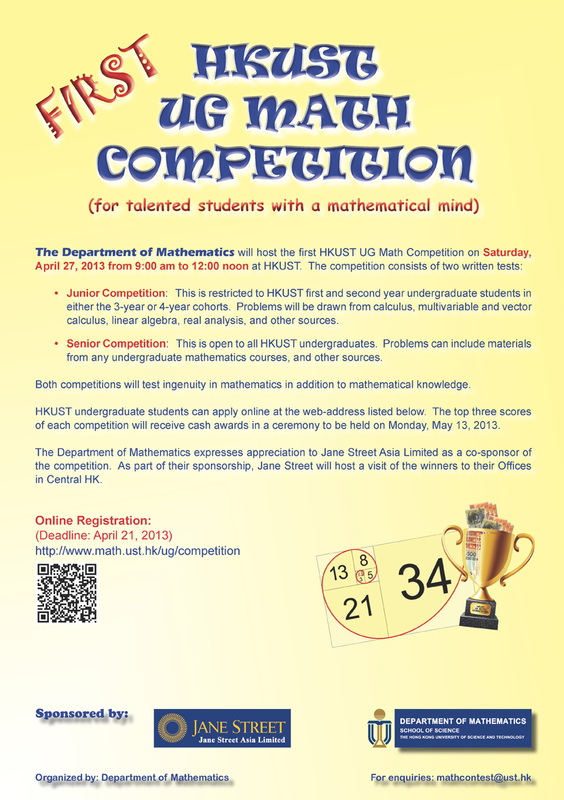 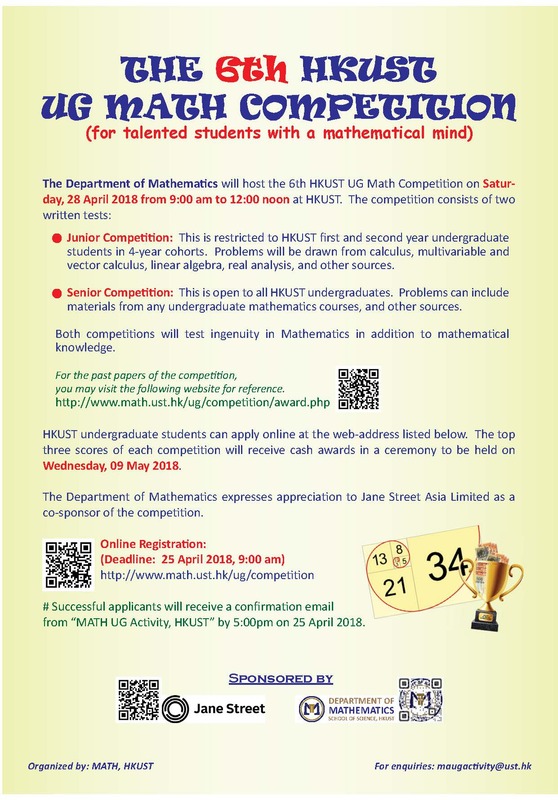 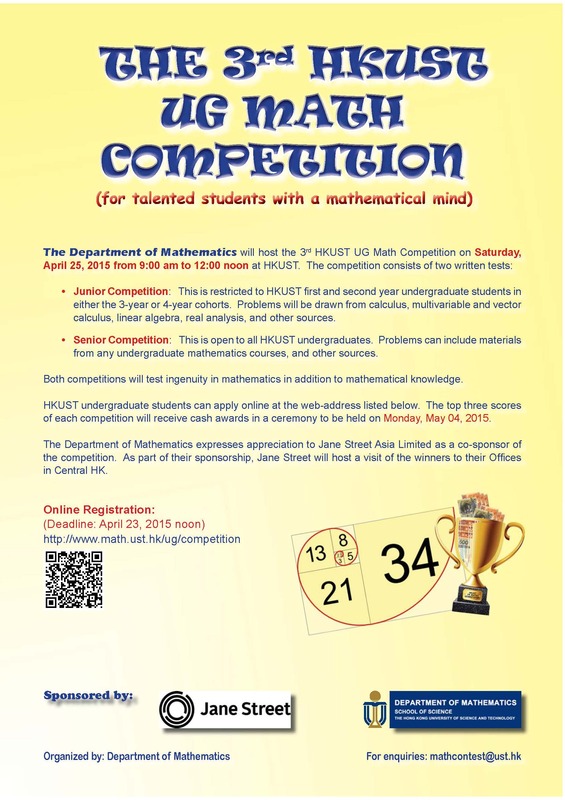 Senior Competition: This is open to all HKUST undergraduates. 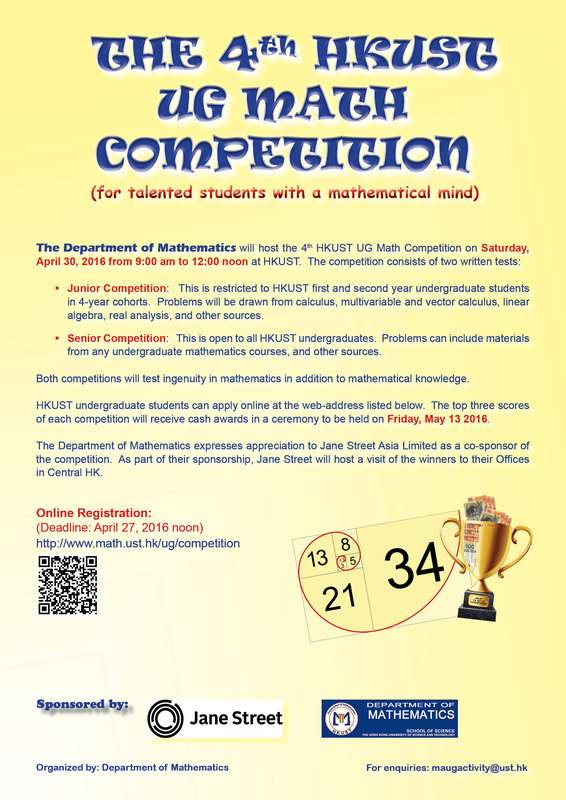 Problems can include materials from any undergradate mathematics courses, and other sources. 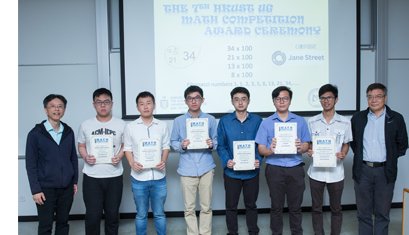 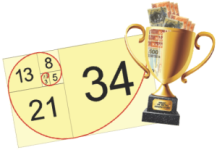 In the past competitions, the top three scores of each competition received cash awards in a ceremony and Jane Street also hosted visits of the winners to their Offices in Central HK.